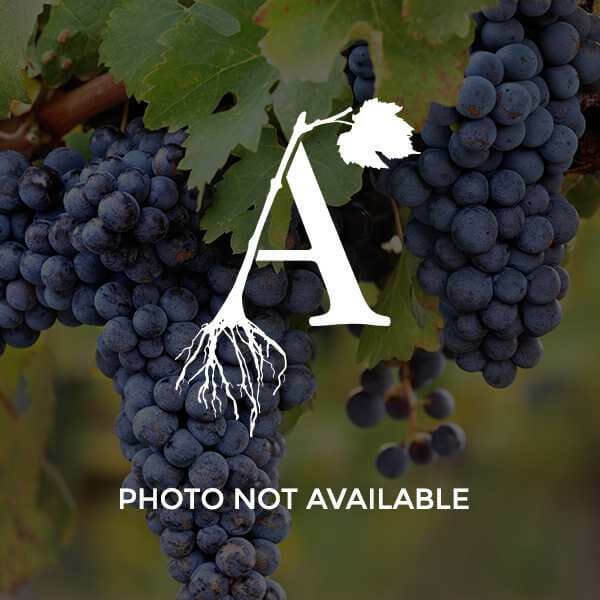 Norton (also known as Cynthiana) is a V. labruscana x V. aestivalis hybrid with a long history in eastern US wine production, particularly in Missouri and Virginia. Norton produces small to medium clusters of firm, round, black berries that ripen very late and require a warm growing season. When fully ripe, Norton can produce a rich, full-bodied red wine with outstanding aging potential. Top Wire Cordon is arguably the most efficient training system for grapes, especially for procumbent or downward growing cultivators, especially those not prone to late season fruit rots due to shading of the fruiting zone. Summer labor is much less than that required with Vertical Shoot Positioned (VSP) training as shoot positioning and leaf pulling are generally not required. One cane is retained from the previous year's growth. This can be pruned and tied to the bottom wire, or a longer cane can be trained up to or on top (fruiting) wire if first years growth was vigorous. A second trunk can be started by leaving a short spur at the base of the vine, just above the graft union on grafted vines, or just above ground level on own-rooted vines. In Year Two, crop should be limited by cluster thinning or defruiting in order to encourage vegetative growth. A single cane can be pruned and trained in each direction from the head of the vine (left side diagram), and cordon establishment can be initiated by retaining spurs on second year wood (right side of diagram). Spurs should be spaced about 6" apart. For highly fruitful varieties such as most French-American hybrids, spurs can be pruned to two to three buds. For Vitis labruscana species such as 'Concord' where basal buds (nodes one to three on one year canes) tend to be less fruitful, vines are short cane (long spur) pruned to five to eight buds. Shoots emerging below the top wire are removed unless they are needed for leaf area needed to develop the vine's reserves - generally speaking, a minimum of three shoots per foot of row should be retained. As shoot growth progresses during the season, shoot positioning is generally not needed but vigorous shoots that grow over neighboring vines should be positioned downward so as not to interfere with sunlight exposure of the neighboring vine. Third year vines should yield between one-half and a full crop, depending on the amount of trellis fill achieved. Vines that achieve full trellis fill can be fully cropped (as appropriate for the variety and desired wine quality attributes), while weaker vines may require some fruit removal by cluster thinning so that vines are not over-cropped.